Offered here is a collection of five game used New York Mets equipment bags. 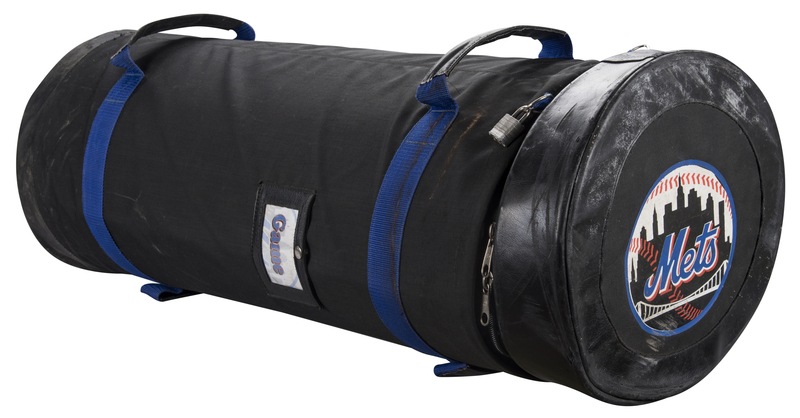 The first item is a cylindrical, black bat bag. It measures approximately 41 inches long. 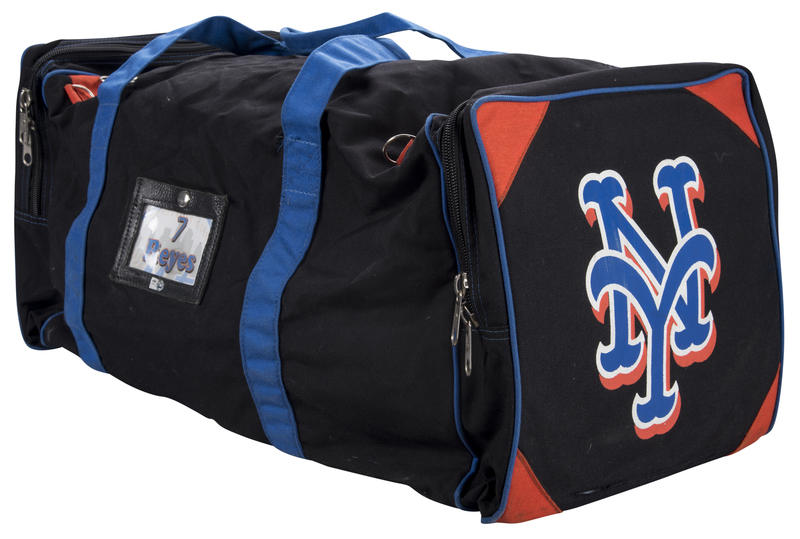 The second bag is a black gym bag bearing a “Reyes 7” placard. 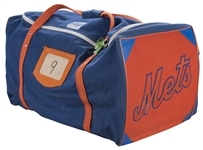 It comes with a MLB Authenticated hologram (LH 045556) stating that it was taken out of play after a Mets game against the Atlanta Braves on August 19th, 2008. The third bag is a blue duffle bag with white handles. “MGR” is written on one handle in black marker. 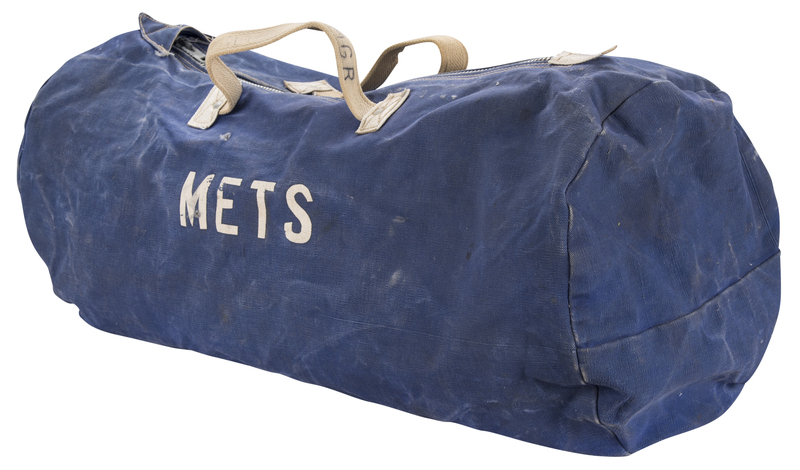 The fourth bag is another blue duffle bag, although this one sports a placard with a handwritten number “6”. 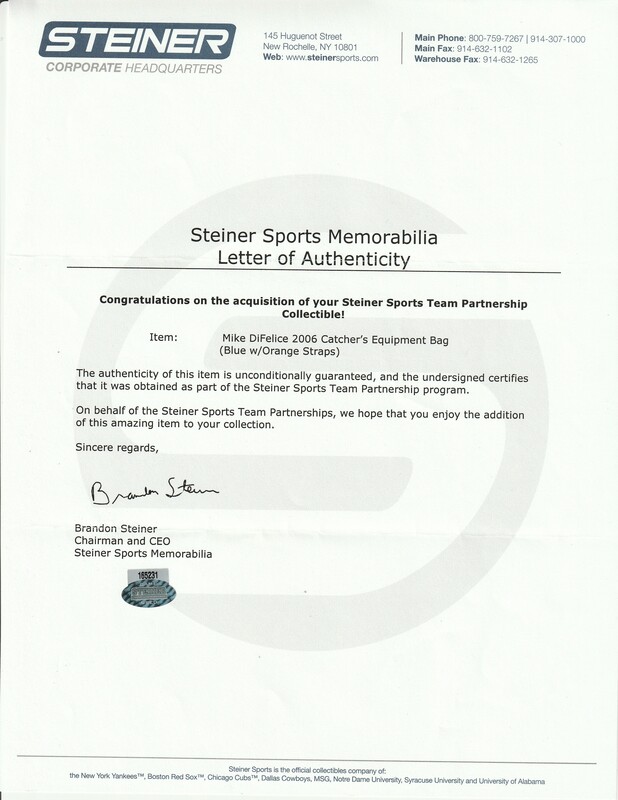 This bag comes with a Steiner Sports game used hologram (165231). The final bag is a blue and orange Gerry Cosby bag. 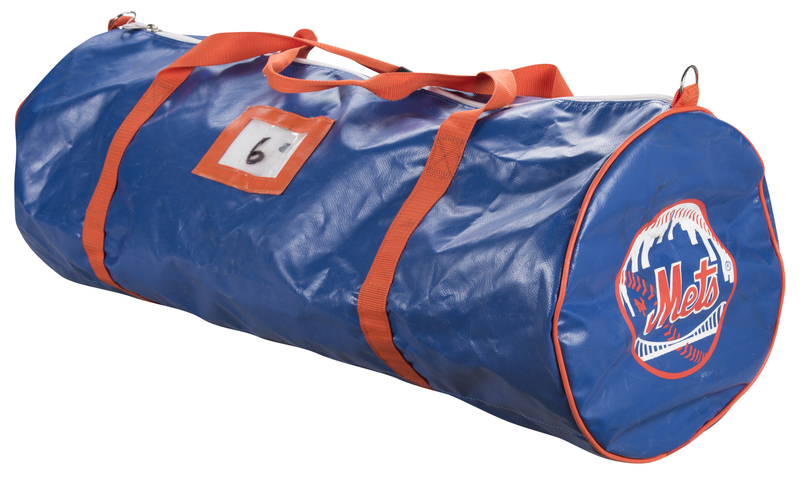 It features a placard with a handwritten “9”. 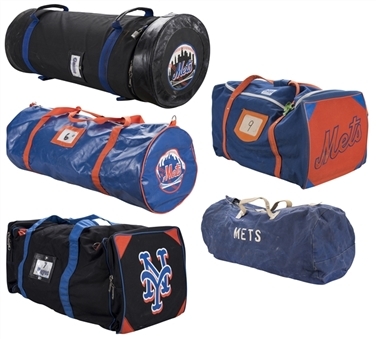 This collection of game used equipment bags is a spectacular treat for any Mets fan!